Ryan Schnitz has made history, becoming the first rider to record a six-second run on a street-tire bike at the MIROCK ‘Fast by Gast’ Fall Nationals at Maryland International Raceway. 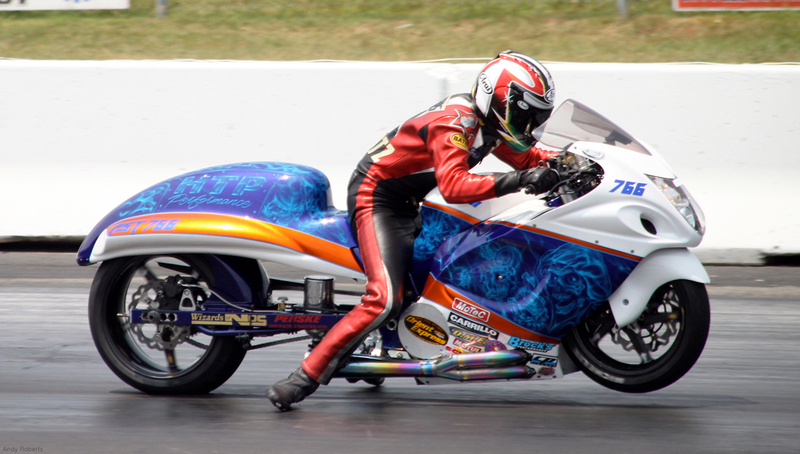 Riding the nitrous-injected HTP Suzuki of Cecil Towner, Schnitz recorded a mind-boggling 6.907 elapsed time at 203.06 mph during the first round of eliminations in the Pro Street class. Brock’s Performance is proud to be involved in this latest historic mark. The HTP Hayabusa is outfitted with Brock’s Performance components including BST Carbon Fiber wheels with World Wide Bearings ceramics, patented TiWinder exhaust, billet shift shafts, manual cam chain tensioner, and oil pan baffle. Still, Brock knew of the risks. The six-second mark looked to be within reach for the HTP team when they ran a 7.06 and later a 7.09 at MIROCK events in June and July. During testing just prior to the Fall Nationals event, Schnitz turned in a 7.02 and a 7.00. The team qualified the bike with a 7.15 – on a run where Schnitz rolled out of it when it got loose at the top end. “It ran 5.58 in the eighth on that run so we knew we would be able to run a mid-6.90 if the track could hold it,” he said. 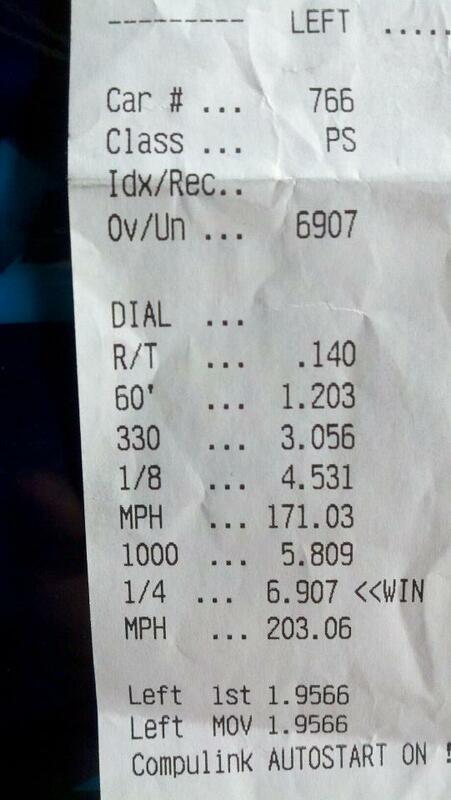 The 6.90 came up on the boards during the first round of eliminations. It was far from a perfect run as the front came up a bit and the bike started drifting out of the groove. Schnitz was unable to back the run up for a new MIROCK record. He spun the tire and lost in the semifinal. Still, history was made. This is the second barrier set by Towner’s bikes. He was the first to break the seven-second barrier for the Real Street class when Keith Thompson ran a 7.97 on a nitrous-injected HTP Suzuki GSX-R1000 in 2009. With his accomplishments, Towner has established himself as one of the premier sportbike drag racing builders and tuners in the world.